Ready to buy a car ? Remember to fasten your seat belts and prepare for a rough ride at the dealership if you don't know what to do or say. Auto dealerships like other businesses are in business to make money. They are performing a necessary service and offering a needed product so we shouldn't have a problem with them making money. The problem is that like some other businesses, there is no limit to the amount of money that they can make on any deal so it's up to you to know what to do and what not to do. 1. Don’t buy on emotion ! Buying a car is definitely an emotional experience. 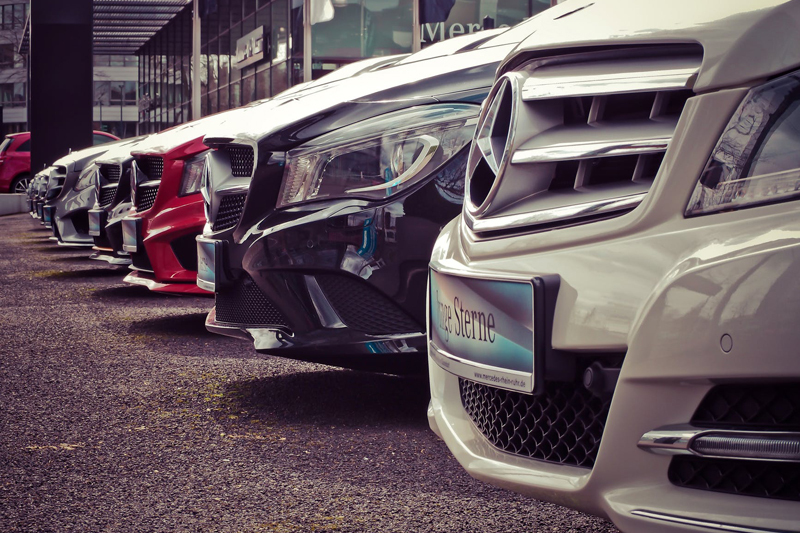 It's hard not to be excited when buying a car, but the more interest and satisfaction you show to the salesperson for the vehicle you're buying, the less likely you are to get the best deal. Remember, act like it's a serious business transaction at the dealership and don't show them how excited you are to climb into that car. 2. Don't believe a salesperson that tells you other places can't match their price. They may be telling you the truth, but until you actually find out for yourself, you won't know. There's no harm in checking on what they tell you. There's a lot of information and emotion: sights, sounds, smells (new car interior), etc. when visiting a car dealership. It's usually not a good idea to purchase the first time you visit, even if you find the car of your dreams! 4. Don't Buy a new car without an MSRP window sticker. If it doesn't have an original window sticker from the factory, it isn't new. Case closed. 5. Don’t give a deposit until you’re sure you will buy. Giving a deposit is a psychological buy-in or commitment that you make which is sometimes difficult to reverse. 6. Don’t let them use information from your driver’s license. If they take a copy of your license for a test drive, have them destroy it or take it with you when you leave so that they don't try to use it to run a credit check. 7. Don’t give them your personal information until you are sure you will be buying from them. If they ask for your name and number or if they ask you to sign in at the dealership, you can kindly decline and tell them you'll contact them if you're interested. 8. Don’t let them de-value your trade-in. If you know the trade in is worth much more than they're offering you, tell them the deal is off and you'll take your business elsewhere. 9. Don’t be a payment buyer. You need to know how much you can afford every month as a payment, but never tell the salesperson. Be sure that the car payment is factored into your overall budget now and over the next few years. 10. Don't be upside down on your loan. If you owe more money on a car that you're selling or trading in, you're upside down. This means you owe more than the car is worth. Wait until you pay off more or all of the loan before taking on another. Remember that it's not always what you need to do when buying a car, what you don't do is almost always as important.